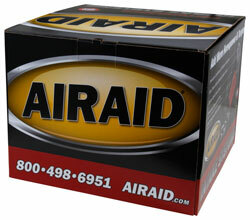 The AIRAID 250-252 fits some Cadillac CTS models. See vehicle applications for details. This product really wakes up the engine. The sound is much more aggressive as well. Installation instructions could certainly be better, but if you take your time it all comes together. As far as the look goes, it looks better than the factory air intake system. Great product.